For breastfeeding moms, this Medela Sonata pump review will be an important one to read. Pumps are one of the most important tools in your arsenal. For moms returning to work, a pump is particularly important. 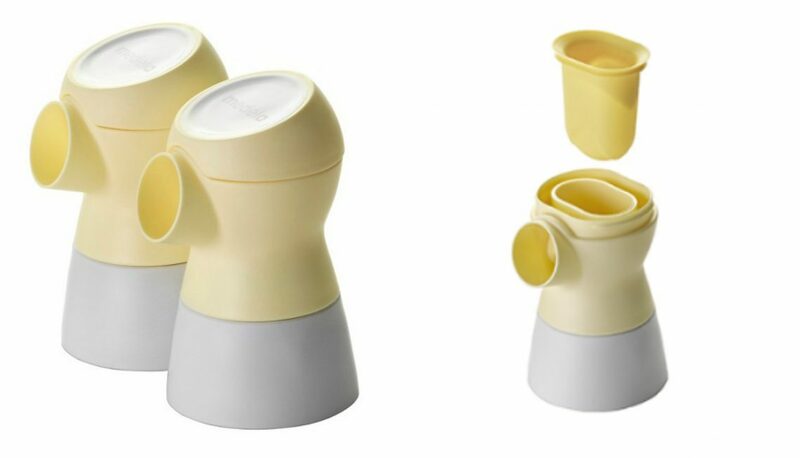 Whatever your pumping needs, the breastfeeding experts at Medela have you covered with their amazing (and amazingly quiet!) new pump, the Medela Sonata pump. The Medela Sonata pump became a quick favorite among moms because it provides hospital-level performance while also offering the discretion of a near-silent pumping experience and the flexibility of a rechargeable pump. The Sonata is a game changer for working moms. They can now pump quietly and effectively on the go without being tied to an electrical outlet. They modeled the new Sonata pump after Medela’s beloved hospital grade Symphony with some notable improvements. One of the most dynamic features of the Sonata is how unbelievably quiet it is. The Sonata also gives a lot of flexibility with different rhythms and two-phase expression. It’s designed to mimic the way your baby nurses to ensure you get the most out of every pumping session. One of the most amazing features of the Sonata is the two clinically tested pumping rhythm options. I learned from Medela that different people respond to different pumping rhythms and how your body responds can even change from baby to baby. This explains part of why a friend can love a pump and get a great output while you struggle with the same pump. However, Medela equipped the new Sonata pump with a plethora of customizable options which means that you can find the setting that works best for you to get the maximum output with the least amount of pumping time. In addition to making the Sonata whisper silent, the breast pump gurus at Medela also made the pump parts easier to assemble and clean. The new attachment design (pictured) above includes a large membrane that drops into the attachment. This makes the pump easier to clean and easier to assemble. You can do your pumping and get back to taking care of your little one. Another amazing feature of the Sonata is the integrated technology. The Sonata automatically connects with Smart Solution to the MyMedela app. This app lets you track pumping times, as well as amount of milk expressed. It shares tips on how to get the most out of your pumping session and lots more. This tech, in addition to the on-screen timer on the Sonata itself, helps you ensure each pumping session is as organized and efficient as possible. Sample provided for review. Opinion expressed solely mine.